No news review for November. With the year-end holidays coming up and (some) readers already planning their 2012 holidays we thought we would break with AERBT tradition and produce a special “bargain cruise” edition. The genial Roger Allard has been around the travel trade longer than most. 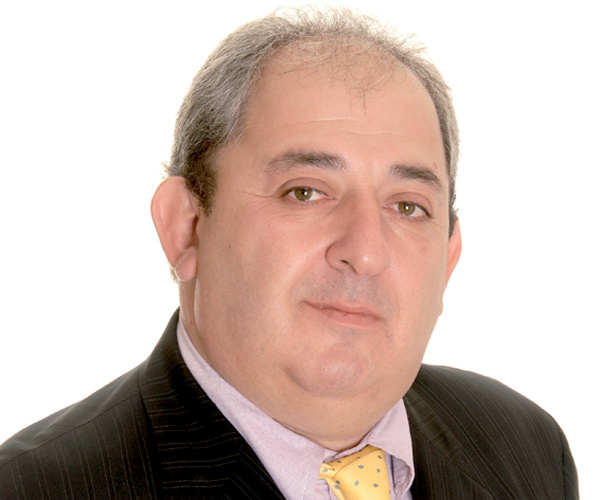 In the early seventies he was one of the founders of Owners Abroad, now First Choice/Tui, running what was then Europe’s largest seat wholesale business. By the mid-eighties the company had a full stock market listing with Roger as Group Managing Director. Ten years on and he was looking for new challenges. It seemed to him that with an ageing, inquisitive, affluent and mobile society, cruising was an area to get into. A further decade later Roger, as Chairman of All Leisure Group Plc, AIM listed, heads a successful holiday operation that includes Voyages of Discovery, Swan Hellenic, Hebridean and Discover Egypt. Whilst in terms of passenger numbers one of the smallest serious cruise operations, All Leisure covers the market. Tiny Hebridean, HM The Queen’s choice as the effective replacement of the Royal Yacht Britannia; Swan Hellenic, destination-led, catering for the British quest to explore, but without effort; and Voyages of Discovery, very much “middle England”. On Tuesday the Group will unveil a trading statement for the year ended 31 October. This is expected to show nothing extraordinary with, as to be expected, a comment that business is looking positive for next year but that conditions are challenging. Currently under way is a multi-million pound investment which will reach its culmination in 2013 with Voyages of Discovery for the first time a two-ship operation offering mv Voyager and a re-vamped Discovery after a winter overhaul, Swan Hellenic’s Minerva well settled from its dry dock session now under way and Hebridean Island Cruises very popular with its regulars. All three are run as separate organisations in terms of sales, but are integrated when it comes to marketing and various operational functions. 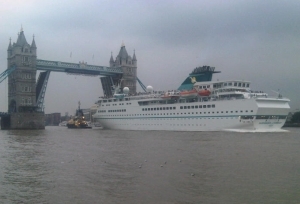 Voyages of Discovery will see the introduction of Voyager in November 2012 with a full Caribbean, Central and South American programme including a cruise of the Amazon. At the same time mv Discovery will be undergoing an extensive refurbishment during a three-month dry dock period, including teak decking, expansion of public areas, cabin improvements, updated furnishing and developments to dining areas. Previously named Alexander von Humboldt, mv Voyager complements mv Discovery as an enhancement of the brand’s discovery cruising ethos, but will operate with fewer passengers and larger cabins. Even more intimate than Discovery, the ship accommodates 550 passengers and boasts a modern hotel feel to its cabins, of which 86% are outside. Expanding the Voyages of Discovery brand with the introduction of a second ship will give customers more choice and flexibility in itineraries. Currently under way changes to Minerva include extensions of the internal and external public areas as well as a new wrap-around observation lounge, the Orpheus Lounge, which will provide comfort and extensive forward panoramic views. Innovative design will also extend the size of Shackleton’s Bar and create a new Internet Lounge. Swan Hellenic has also increased the size of 32 cabins by adding balcony facilities, raising the number of balcony suites to 23% of all cabin accommodation. We cruised on the Grand Princess in August and were beneficiaries of the multi-million dollar refit carried out earlier in 2011. This was evident from the moment we stepped onboard. The ship had a fresh look and feel about it and the overall effect was one of understated elegance. As well as two speciality restaurants The Crown Grill and Sabbatinis, there is a new piazza amidships which includes a delightful pizzeria called Alfredos. The aft end of the ship’s profile has been improved and this includes a very modern new nightclub called ‘The One Five’. With its wicker chairs, sofas and large windows it is comfortable and bright with an ambience which appealed beyond just the younger generation. There are three main dining rooms The Boticelli, The Michaelangelo and The Da Vinci with two sittings for dinner but also offering anytime dining for those who prefer not to be tied to a set time. We enjoyed a birthday celebration in The Crown Grill which is designed as an up market American steakhouse and the fillet mignon and lobster were simply superb, finished off with a decadent chocolate mud pudding. Surcharges of US$20-US$25 per head apply in both speciality restaurants. 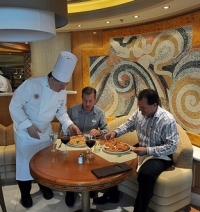 The standard of food in the main restaurants was uniformly excellent and undoubtedly of a higher standard than other cruise lines we have sailed with in recent years. 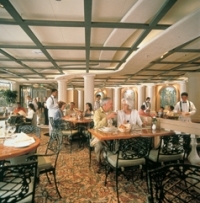 This was also the case in The Horizon buffet which served an extensive variety of international dishes. Service in the main restaurants was consistently high and very attentive at all times. As a nod towards its predominantly British clientele in the summer months, the ship offers a traditional pub lunch every day and afternoon tea in the new ‘Leaves’ library. 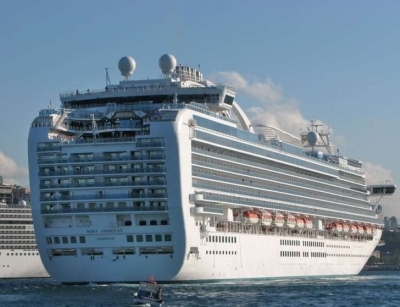 Once the biggest cruise liner in the world, The Grand Princess is now medium sized compared with some. A full complement of passengers numbers 2,600 and although the ship was full, it never felt crowded. Finding a sun bed wasn’t a problem and deck space has been optimised to increase the number of beds. ‘Fore’ there is a (paid for) feature called The Sanctuary which offers semi-private sunbathing with luxury loungers and a separate pool. 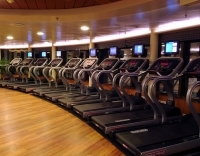 This is coupled with an exceptionally well-equipped gym, sauna and steam room. Probably the most innovative new feature on the ship is the giant cinema screen on the sun deck. This shows ‘movies under the stars’ at night complete with blankets and popcorn; as close to a ‘drive in’ movie experience as you’ll get this side of 1950s America. The screen is also used during the day and included the slightly surreal experience of watching live premier league football whilst sipping cocktails in 90+ degree heat in Livorno. We stayed in a mini-suite on Dolphin deck comprising approximately 320sq ft including balcony. It was very well designed and perfectly big enough for a family of four. even with two adult children. There was plenty of wardrobe space and drawers and the suite didn’t feel cramped. The drop-down bunk in the ceiling was a bonus as it avoided otherwise restricted access to the balcony – useful when the ‘children’ can’t get up after a late night in the ‘One Five’. Thoughtfully there were two TVs in the suite one angled toward the sofa and bunk bed and the other toward the main bed. Our steward did a fine job and or suite was kept consistently clean. We purchased a soda sticker which offered reasonable value for money as it also included unlimited non-alcoholic cocktails and fruit juice. These provided a welcome change from the standard coke and sprite. We tend to be excursion DIYers so cannot comment on the quality of the ship’s offerings. Nevertheless, for those who prefer organised excursions, the choice was varied and extensive. Our itinerary included Civitavecchia and Livorno and we took the train to Rome and Pisa respectively. This is quite straightforward and considerably cheaper than the ship’s excursions. No guarantee that she will be at the port on your return of course but providing you are sensible that should not be a worry. Often you notice the little things on a cruise and cold face towels handed out at the gangway after a hard day ashore were a welcome touch. The entertainment in the theatre was consistently good and included four excellent and superbly choreographed production shows and a singer who had performed in West End musicals. We all agreed that the overall quality of the shows was undoubtedly the best we had experienced on any cruise. It was evident that this ship attracted multi-generational groups including grandparents and young children although there was a surprising lack of teenagers on the ship for August. The extra sports and recreational facilities on the larger R.C. 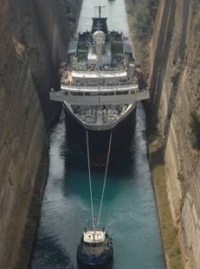 ships are possibly more appealing to this age group. Criticisms: very few and only minor. Compared to other ships we have been on the ‘cruise direction’ wasn’t particularly dynamic. Reminders for daytime activities wouldn’t have gone amiss. Extra charges for shuttle transfers out of certain ports also rankles but this seems to be standard on most cruise lines now. All in all a great cruise and we would be happy to travel with Princess again. All the prices shown are the starting ones for two persons sharing. Flights are not included except where noted. Go to the individual cruise line for extended offers. Without exception travel retailers will have their own discounted deal with preferred operators.